Life is rapidly changing for pre-teen shoe spokesperson Riley Mae. After the last photo shoot and trek up the Half-Dome in Yosemite, Riley Mae and her Swiftriver friends find themselves in Northwest Montana, the perfect backdrop for a river sandal campaign. The first problem is a plane malfunction. Then the rigorous raft training for the “Ready Eddy” river sandal campaign brings more bumps and bruises. And given that she is in Montana for a shoe campaign instead of back home with her friends, Riley thinks life can’t get much worse. But then she meets Sunday, a 10 year-old boy from Kenya, who wrestles fish, battles bears, and tackles leukemia. And Riley soon learns that life is as unpredictable as the raging waters, which, if she is not careful, will sweep her away and into the hands of the enemy - who is even closer than she thinks. This is a totally awesome book for preteens that love adventure. It's not all about prissy girls, make-up, trying to be in fashion, boys and all the drama that goes with preteens these days. It's about faith and living it, doing what is right. The characters are fun and very age appropriate. I would recommend this book and series to any middle school age child. We need good clean Christian faith based books for our children. Look out Babysitter club, Magic tree house and the others FaithGirlz is a super series and going to rise to the top. 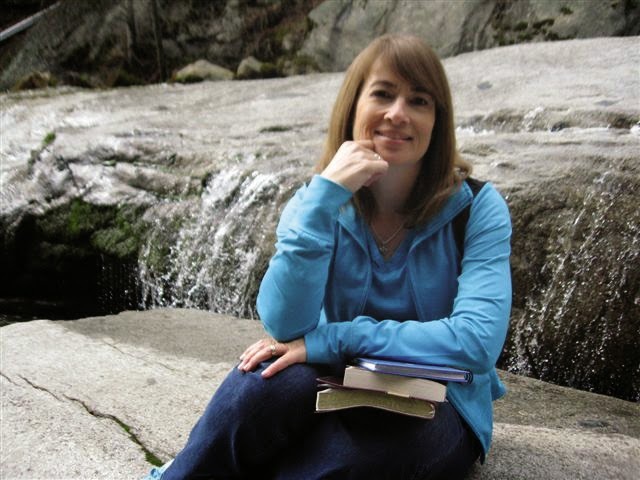 Jill Osborne works in children’s ministry and has a passion for telling great stories. She has written plays, skits for youth groups and Sunday morning drama teams, curriculum for children’s ministry, countless articles for her church newsletter, and a blog about taking a sabbatical in a motor home. Good News Shoes is her first series for kids, and she plans to run with it! Find out more about Jill on her blog: www.thegoodnewsshoesblog.com ! Tween girls can also enter to be featured on her blog!